THE Great Western Society’s re-created ‘Saint’ No. 2999 Lady of Legend will soon make a long-anticipated comeback for the class that disappeared from our railways in October 1953. 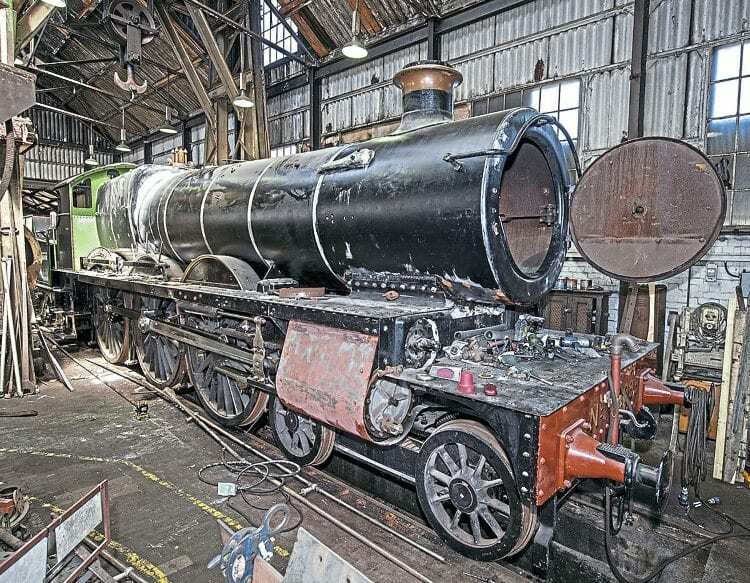 Work on getting the locomotive ready for its debut continues at Didcot as the new cladding sheets and smokebox are rubbed down ready for application of BR lined black livery, in which guise No. 2999 will make its debut before a full repaint into Great Western green. Cab fittings are going on and the safety valves and steam manifold have also been fitted.